Exterior rooms for rent, area of ​​Madrid Rio. Lines nearest metro (line 6 Usera, exit Madrid Rio and line 3 Legazpi, Buses Line 23 Plaza Mayor, Line 55 Atocha, Line 60 Plaza de la Cebada, Bus Night N15 and N17, near Matadero cultural center, shopping area nearby. Apartment completely renovated rooms have wireless high speed internet, single bed, wardrobe, TV, coffee table, bookcase, desk, bed linen, towels. The apartment has 2 showers, 1 toilet, kitchen, sports facilities and municipal swimming pools close. Room in shared apartment, with full bathroom, full kitchen and comfortable bedroom with wardrobe. Near the Madrid River. PLEASANT AND SERVICE ENVIRONMENT. Excellente chambre privée pour vous et votre compagnon. Dans un appartement bien connecte via WiFi. La chambre comprend deux lits simples. Petit-déjeuner inclus. La habitación dispone de dos camas individuales de 90 cetímetros ideal para que los huéspedes puedan descansar. Comfortable room in family atmosphere, quiet and very well connected. Central heating, hot water, WIFI, access for people with reduced mobility. If you want to stay in Madrid to study in a quiet place without noise, this could be a great solution, 2 minutes from Metro Embajadores and Renfe. House lit Madrid Rio.Zona very well connected, will be close to all the Museums, Pta del Sol, Retiro Park .. The apartment is very quiet as well as the other owners of the building. The property consists of two bedrooms (small room occupied student Master) fully equipped kitchen, with all kinds of utensils and small appliances (juicer, blender, sanwichera etc.). The bathroom has a shower with hydromassage and feet.Clothes, towels , tablecloths and everything you need for an excellent stay in Madrid. "Rent room for 1 person including expenses, light, heating, internet, cleaning of common spaces and stairs, bed linen and towels, washing machine service.The room is wide, with 90 cm bed, wardrobe, desk and shelves. Very luminous and silent, ideal for studying and working, the situation is unbeatable, centric, facing the park, with access in only 10 to 20 minutes to Atocha, Pyramids, Sun, Plaza Mayor, Matadero Cultural Space, Lavapiés. Lots of vegetation, two parks, Madrid Rio, sports areas, gyms, theaters, the neighborhood is quiet while having a lot of life. Hello, we are a middle-aged couple who rent a room to a serious and responsible person, preferably Erasmus students or doctors, nurses working at the Hospital Doce de Octubre. We offer cleanliness, good coexistence and respect. My husband is dedicated to the automotive sector and I am a teacher at a bilingual school in the Community of Madrid. We are nice and formal people. Totally furnished, heater, WiFi, washing machine, etc. 10 minute walking from Plaza Mayor, Gran Via and close to Prado, Reina Sofia museums, know the city just by walking. Thyssen, Pool and sports center. Skatepark nearby. It has one doublebed room, and two with 2 single beds rooms. Lift access. The bathroom with window is perfectly lit, while the bedrooms come with bed linens, towels, a table with chair and a lamp. Rent room Mrs. Or Miss 3 minutes from Marqués de Vadillo Metro Station. Single room, flirtatious, furnished and equipped. It has desk, refrigerator, TV and air conditioning / heating, heated. Zones (Carabanchel / Arganzuela / Latina). The furniture is new and modern. Only 2 people, electricity and water expenses month to share. New floor, elevator, heating, washing machine, dishwasher, refrigerator, beds, living room TV. Optional garage. renovated in September 2016 Housing, bright with wifi, air conditioning, furnished with bed, closet, dresser, desk and chair. Usera 200 m from the metro, near all kinds of shops. Deposit required. Magnificent apartment completely renovated, three double bedrooms plus two bathrooms, equipped with bed linen and towels, ready to move in. Wifi, heating, air conditioning, tv, kitchen complete with utensils and appliances. A 5 minutes walk from the metro, buses, renfe, supermarket and restaurant area. Shared apartment 4 rooms + 1 bathroom, with elevator, located in the Paseo de la Virgen del Puerto- MADRID RÍO. Living room with terrace, kitchen with pantry. Connections: - Puerta del Ángel metro station (line 6) three stops from the Ciudad Universitaria-Universidad Complutense Madrid stop. - Príncipe Pío subway and train station 10 minutes walk and 5 minutes by bus. -The Puerta de Toledo metro station, (line 5), the area around Paseo de Pontones and the Imperial district and Embajadores. 10 MINUTES FROM THE CAMPUS OF THE CARLOS III OF PUERTA DE TOLEDO. A room to rent in the center of Madrid (maximum 1 month's rent, for more time to contact me). 10 minutes from Atocha, the Retiro Park and the Prado Museum. Close to all public transport, with subway and train stops in Atocha, Delicias and Méndez Álvaro. The apartment is large (121 m2) and is fully equipped, with garden. There are 3 rooms have in a double bed, desk, chair, 2 closets and internet access. There are 2 bathrooms (one in the room) and fully equipped kitchen with washing machine, dishwasher, microwave, oven, refrigerator. The costs of internet, water, gas, electricity, heating and air conditioning included. Sheets and towels. It is an old house with high, spacious, renovated with elevator ceilings. Superbly it located about 6 minutes from Puerta del Sol, within the cord of cultural and tourist interest in the city, to walk to the main jewels of the city. A multicultural neighborhood full of restaurants, tapas bars and rods and terraces to enjoy the street gastronomic offers. Available a double room. In part two beds, nightstand and shelves and in the other dining table, large closets and balcony to the street. It is a comfortable room to study, eat and spend the day quietly. Common areas are lounge with dining area, kitchen and bathrooms. Is there Wi-Fi. Large suite room for rent in the center of Madrid, 10 minutes from Atocha, Retiro Park and the Prado Museum. Very good communication with the metro and train stops such as Atocha, Delicias and Méndez Álvaro. The apartment is large (121 m2) and is fully equipped, also has a garden. There are 3 bedrooms (one of 3 is rented) and consists of a double bed, desk, chair, five-door wardrobe and wifi internet access. There are two bedrooms (one en suite) and a fully equipped kitchen with washing machine, dishwasher, microwave, oven and fridge. The internet, water, gas, electricity, heating and air conditioning are included, as well as towels in the price. A room # 1 to rent in the center of Madrid (maximum 1 month's rent, for more time to contact me). 10 minutes from Atocha, the Retiro Park and the Prado Museum. Close to all public transport, with subway and train stops in Atocha, Delicias and Méndez Álvaro. The apartment is large (121 m2) and is fully equipped, with garden. There are 3 rooms have in a double bed, desk, chair, 2 closets and internet access. There are 2 bathrooms (one in the room) and fully equipped kitchen with washing machine, dishwasher, microwave, oven, refrigerator. The costs of internet, water, gas, electricity, heating and air conditioning included. Sheets and towels. Full private apartment, with two double rooms, furnished, TV, Wi-Fi, heating, bed linen and towels, Kitchen complete with household appliances, washing machine, dishwasher, microwave, ready to move in. 5 minutes walking to public transport, metro and bus, and market and shopping center. Close to green areas, quiet residential area. We offer private room 1.35 cm bed, bedding, wifi, expenses, cleaning included, shared bathroom areas, terrace, living room, in a quiet young people and great atmosphere. Just 10 minutes walk from the center of Madrid, surrounded by the main tourist attractions: Royal Palace, Madrid river, house, peep prince. Excellent communication with metro, buses, owl, airport universities. In the area there are supermarkets, shops, bars, study rooms. It is a familiar and cozy house that invites you to enjoy Madrid and discover the magical places of the Spanish capital according to your interests (studies, scholarships, postgraduate exams). Vous souhaitez trouver une location à Comillas ? Comillas est une charmante ville située en Espagne. Avec Roomlala, les habitants de Comillas sont très heureux de vous accueillir, peu importe la raison de votre location (tourisme, voyage, déplacements professionnels, stage, études, etc.). Le site est à votre disposition pour vous aider à trouver une location meublée à Comillas ou une chambre chez l'habitant à Comillas. Quelle est la différence ? En louant une chambre chez l'habitant, vous louez principalement une chambre, au sein du logement d'un habitant de Comillas. Trouver une location meublée à Comillas revient à louer un studio, un appartement ou encore une maison dans que le propriétaire soit sur place. Dans les deux cas, les locations disposeront d'équipements onligatoires qui font de chacune une "location meublée". Grâce à Roomlala, vous pourrez aussi trouver un colocataire ou des colocataires à Comillas. Si vous avez déjà trouvé un logement (maison, appartement), vous pouvez alors simplement publier une annonce gratuite pour rechercher vos futurs colocataires avec qui le partager. Si vous n'avez encore ni logement ni colocataires, vous pouvez directement trouver une colocation à Comillas, dans le quartier de Comillas de vore choix, pour des moyennes et longues durées (chambre à louer au mois à l'année). 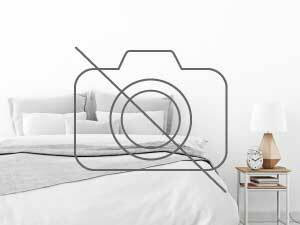 Pour les plus courts séjours, notre plateforme vous permet également de chercher une chambre d'hôtes à Comillas ou un bed and breakfast (chambre à la nuit) à Comillas, à proximité des lieux touristiques de Comillas. À l'occasion d'une location vacances à Comillas, vous pourrez y visiter ses lieux incontournables et également flâner dans la ville. Vous pourrez y arpenterez ses avenues et rues les plus connues. Autre possibilité : vous recherchez un logement contre service à Comillas ? Roomlala vous propose des annonces de locations contre services tels que la garde d'enfants, l'aide pour personnes âgées, le soutien scolaire, l'aide a domicile, le logement intergénérationnel, l'aide d'un étudiant, le gardiennage, le séjour au pair, la chambre contre service, etc.